The lady herself declared it the party to end all parties. Having been shrouded in secrecy for months, the magical evening was finally here. 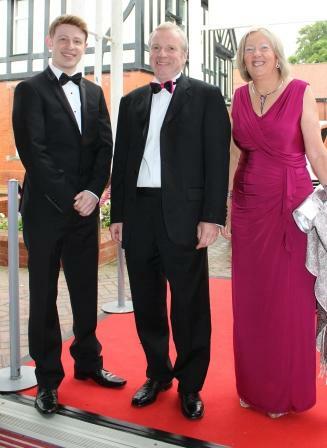 Mr Oracz stood on the red carpet at the entrance to the theatre and welcomed the Principal and her special guests. The excitement and anticipation fizzed in the air. In full ”˜Bond mode’ he then escorted them down to the library for a surprise showing of ”˜A Lifetime in Poetry’, a beautiful compilation created by Mrs Gibson to chart all the stages of Mrs Croston’s illustrious career. Former staff had been recorded reciting suitable sections of the poem, and there was laughter mixed with poignancy as we all watched the film. Elizabeth Gibson then presented Mrs Croston with a framed version of her poem, and after champagne and nibbles, we segued into the theatre to start Phase Two of The Big Night. 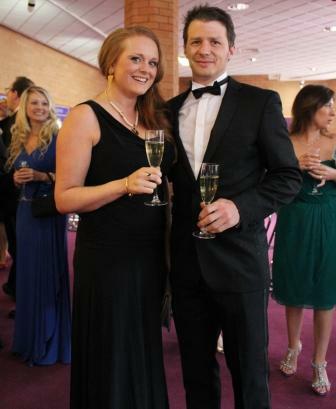 Lancashire Life snapped away, canapÃ©s were passed around and Mrs Croston mingled happily with her 240 guests. The party then gathered in the theatre to be entertained royally by a selection of past and present pupils performing a wide range of belting tunes, stunning dance and funky guitar solos. 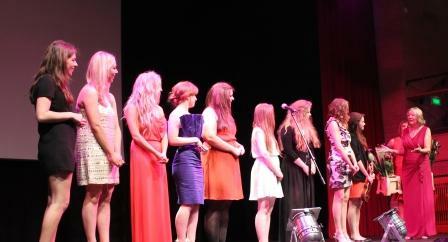 The talent on show made guests audibly gasp. There were some old favourites of Mrs Croston’s and some original pieces but all of them shared in common absolute excellence. Professional West End singer Liz Singleton lured guests into thinking her rousing Les Miserables medley was the finale, and her applause brought the house down. But, o no, we had one more trick up our collective sleeve. Intrepid Deputy Head Girl, Sophie Ward came onto stage with her infamous ukulele and sang Mrs Croston a personal tribute, which made the guests most amused! After the typical Westholme tradition of each performer being given a red rose of thanks from Mrs Croston, everyone moved into the dining room, eager to enjoy dinner. And it was still only ten past 8! 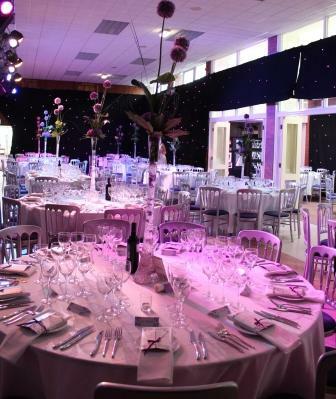 The meal, prepared by professional catering team, With a Twist, was delicious and incorporated many of Mrs Croston’s favourites – particularly the lemon dessert! 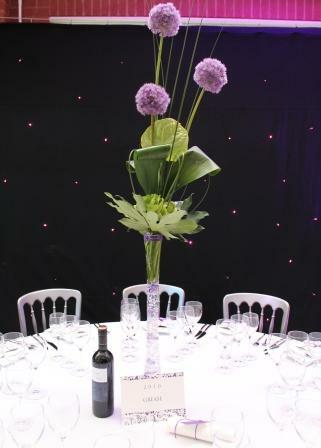 The wine flowed, conversation became animated and it was clear that all the guests were enjoying being part of this special night. And there was still more in store. 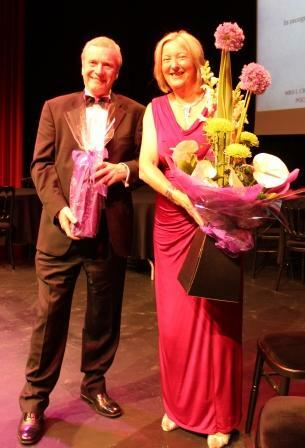 After dinner, we all returned to the theatre and Brian Marsden, Chairman of Governors, stood up to give a short tribute to Mrs Croston and invited her and her long-supporting husband, Alan, on to stage. The surprise he had in store was one like no other. 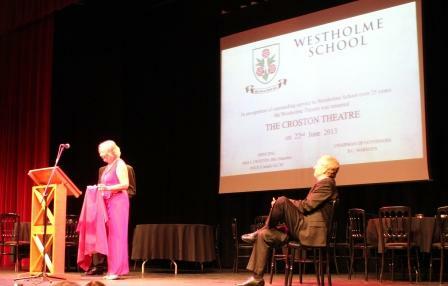 In recognition of Mrs Croston’s outstanding service to the School over a quarter of a century, Governors had unanimously decided to rename the Westholme Theatre to the Croston Theatre. As Mrs Croston slowly pulled away the covering cloth which hid the new plaque, she looked absolutely stunned. Rare indeed is it that anything occurs in Westholme without her prior knowledge – but it seemed, just this once, that the surprise was indeed intact. She drew her hand to her mouth, wide-eyed, and gave the Chairman a gentle hug of the warmest gratitude. It was, it has to be said, an “aaaahhh” moment. 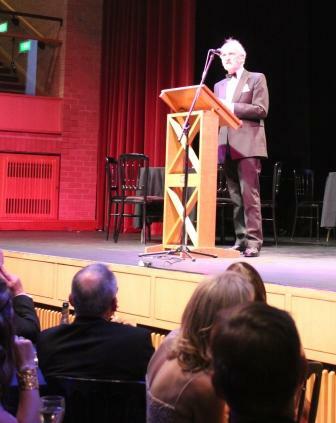 Ken Ainsworth, former Chairman for the majority of Mrs Croston’s tenure, then came onto stage to give a great speech about his early memories of appointing her. The speeches were in fact a highlight rather than the usual chore, and when Mrs Croston came up to do her response to the evening, she looked a little emotional, even a tad overwhelmed. She thanked the parents for their lovely gift of Northcote vouchers, the sponsors of the evening for making the night so special, the committee, and all her guests. 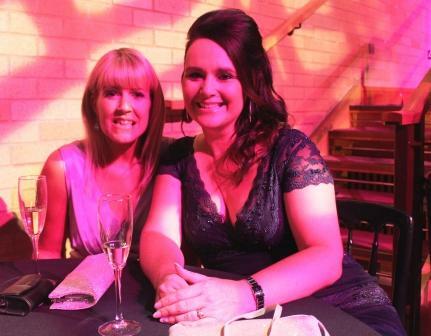 She said it was quite simply the best celebration evening she had ever had – and what more could we ask than that? The lights dimmed and she was just about to exit stage left, when…. Yet another surprise was in store. 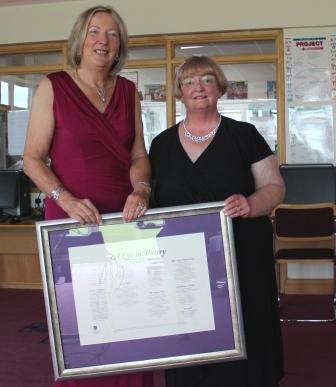 Mr Oracz had compiled a fabulous video of footage of her experiences over the years, interspersed with messages from former pupils of well wishes for her retirement. Again it was poignant and funny all at once, with several former pupils commenting on their vivid memories of her fashion sense, particularly those crazy coloured tights, her drive, her care, her belief in every Westholme pupil. As the video ended to the notes of Sinatra’s “My Way”, the audience reflected that it had indeed all been done in her way, and it had been most definitely the right way. Formalities over and the dancing could begin in earnest! 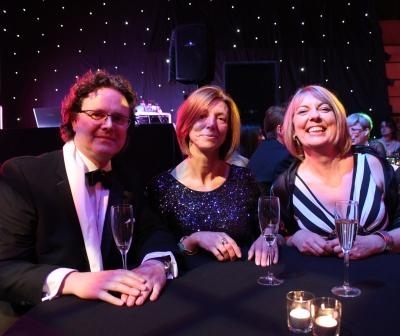 Mr and Mrs Croston took to the floor first and were soon joined by other guests, quickly filling the floor. The night was going way too fast! 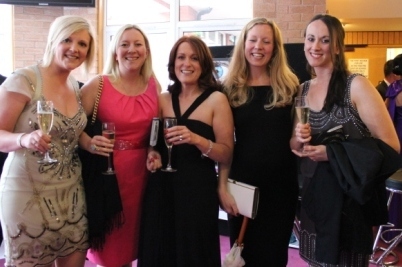 Mrs Croston looked happy and relaxed as she danced with former pupils, chatted to the guests and soaked up the mood of celebration. 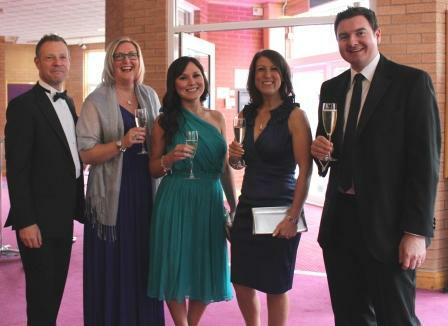 At the very end of the most special of evenings, our Principal waved farewell to all her guests in the foyer and everyone reflected on what a unique evening they had been part of. Many were coming back the next day for Round 2 so some serious speed sleeping was due! Mrs Croston’s Family Fun Day!